There are two challenges this week at the Shading Zentangle® Facebook group -- one to focus on the lovely tangle A-DALFA (deconstructed by Bunny Wright) and the second one to use a distressed background to tangle (similar to the Watercolor background challenge we had earlier this year). I cut the distressed test page into tiles with my trusty puncher, aren't these fun? I like them just like they are here over this background!! This is the distressed section I picked for the A-dalfa project, it is 3.5 inches square. I picked this one specifically because A-dalfa is a border/ribbon pattern, so I look for one with long shapes. Here is the line-art, combining A-dalfa with Bask-it, Trelina, Jaysix in the background and some weird striped lines (following the marks on the paper. I used different colored ink pens to create the line art. Was not really happy with the green ink, though. I'm really happy with the way it turned out! There is Trelina coming out from behind the blue A-dalfa. I hope you enjoy it! Want to learn more about my coloring techniques? 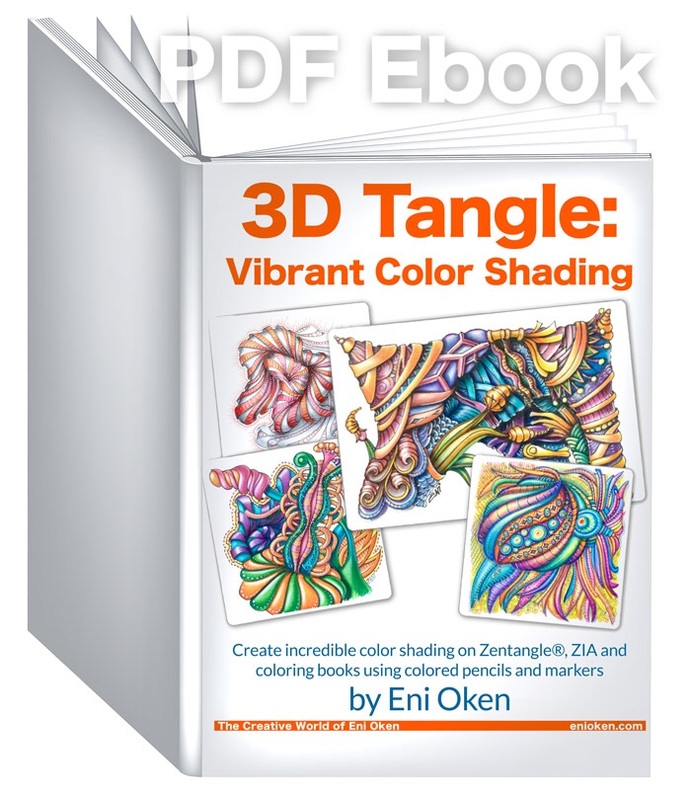 Get my ebook Vibrant Color Shading!